How Many Episodes Are In A Season Of GREY's Anatomy? Home Entertainment How Many Episodes are in a Season of GREY’s Anatomy? How Many Episodes are in a Season of GREY’s Anatomy? Grey’s Anatomy is an American TV series created by Shonda Rhimes. Grey’s Anatomy is a medical drama that premiered on ABC on March 27, 2005, and has since completed more than 14 series and 317 episodes in total. It captures the life of fictional surgical interns and residents who develop into seasoned doctors gradually while juggling their personal life with the very hectic hospital schedule. The TV series has a huge ensemble of actors starting with Ellen Pompeo, Sandra Oh, Chandra Wilson, Patrick Dempsey, Sarah Drew, Eric Dane, Justin Chambers, Chyler Leigh, and others. The popular English language Tv series started as a mid-season replacement on American Broadcasting Company (ABC). Its title is borrowed from a play called “Gray’s Anatomy” which is a classic human anatomy textbook written by Henry Gray in 1958. Shonda Rhimes wrote the pilot and other episodes of the Grey’s Anatomy which is designed to be racially diverse with a huge ensemble as aforementioned. Every episode of Grey’s Anatomy post-third season has been broadcast on every Thursday. All the seasons are available on Amazon Video, iTunes Store, Hulu, Video on Demand (ABC) and other streaming platforms. Here is the season of GREY’s anatomy? Season 01: The first episode of the first season i.e. pilot was aired on March 27, 2005, which received a U.S. viewership of 16.25 million. Every episode is 43-minutes long excluding the advertisements. The first season has nine episodes with the titles as followed. Season 02: The second season aired between 2005 and 2006. Its the first episode was aired on September 25, 2005, with a U.S. viewership of 18.98 million. There are 27 seasons in the second season that was concluded on March 15, 2006. Season 03: The first episode for the third season premiered on September 21, 2006, on Thursday as opposed to the previously airing days i.e. every Sunday. The season premiered got a U.S. viewership of 25.41 million and the viewership remained to fluctuate at this soaring rate between 18.51 million (Ep. 9) and the season highest at 27.39 million (Ep. 17). There are total 25 episodes including the season finale that aired on May 17, 2007. Season 04: The fourth season directed by Rob Corn premiered on September 27, 2007, with U.S. viewership of 20.93 million. This season had 17 episodes and the season concluded on May 22, 2008, with the episode ‘Freedom’. Season 05: On September 25, 2008, Season 5 of Grey’s Anatomy was aired and continued till May 14, 2009, when the season finale aired. There are total 24 episodes in the fourth season marking more than century with total 102 episodes in the last five seasons. Season 06: The sixth season premiered on ABC on September 24, 2009, with the episode titled ‘Good Mourning’ directed by Edward Ornelas and written by Krista Vernoff. There are total 24 episodes in this season, its season finale was aired on May 20, 2010. Season 07: The seventh season premiered on September 23, 2010, towards U.S. viewership of 14.32 million. The events in this season continue a little while after the end of the sixth season and have a total 22 episodes including the season finale ‘Unaccompanied Minor’ that aired on May 19, 2011. Season 08: In its eighth season premiered on September 22, 2011, with a two-hour long episode titled ‘Free Falling’. The season finale on May 17, 2012, with a total of 24 episodes. The season managed to maintain viewership of 9 to 12 million (U.S.) which have been declining since due to many reasons such as availability of various platforms to stream it. Season 09: The ninth season of Grey’s Anatomy follows the aftermath events of the plane crash occurred in the previous season. The season premiere was aired on September 27, 2012, while the finale was aired on May 16, 2016, with the episode ‘Perfect Storm’. There are total 24 episodes in this season with just four episodes left to hit a 200 episodes mark. Season 10: The season premiered on ABC on September 26, 2013, with the episode ‘Seal Our Fate’. There are total 24 episodes in this season hitting the mark of 220 episodes in all ten seasons. The finale was aired on May 15, 2014, which saw U.S. viewership of 8.92 million. Season 11: The eleventh season that aired on September 25, 2014, on ABC revolves around Meredith Grey’s love life with Derek Shepherd and the other events. There are total 25 episodes in the eleventh season and the finale was aired on May 14, 2015, with the title ‘You’re My Home’. Season 12: The twelfth season was premiered on September 24, 2015 (Thursday) on ABC with the title ‘Sledgehammer’ and finale was aired on May 19, 2016, concluding 24 episodes of this season. 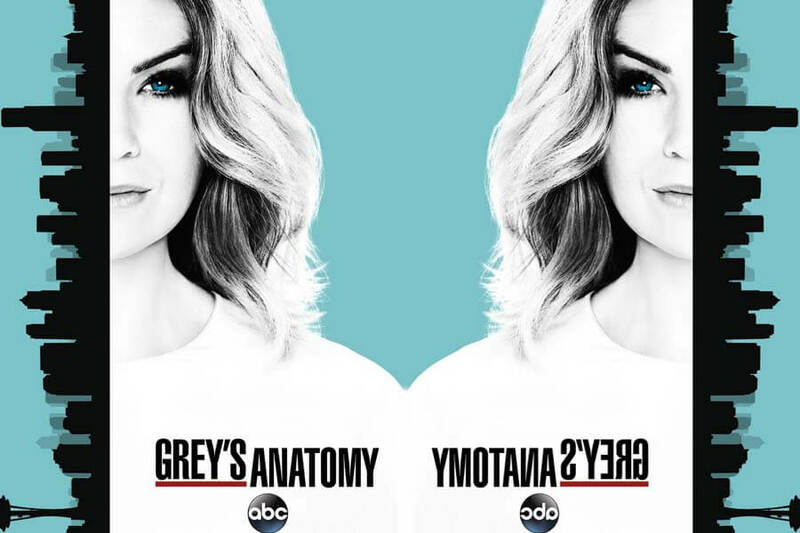 Season 13: Grey’s Anatomy returns with the thirteen season on September 22, 2016, with the episode titled ‘Undo’, directed by Debbie Allen and written by William Harper. This season had total 24 episodes with the finale ‘Ring of Fire’ that was aired on ABC on May 18, 2017. Season 14: The fourteenth season premiered on September 28, 2017, on ABC with a total 24 episodes concluding on May 17, 2018, with the episode ‘All of Me’. The end of Season 14 marked a total of 14 seasons which started in March 2005. Recently, ABC renewed the popular TV series for a fifteen season. Previous article Who is the Youngest WWE Champion?